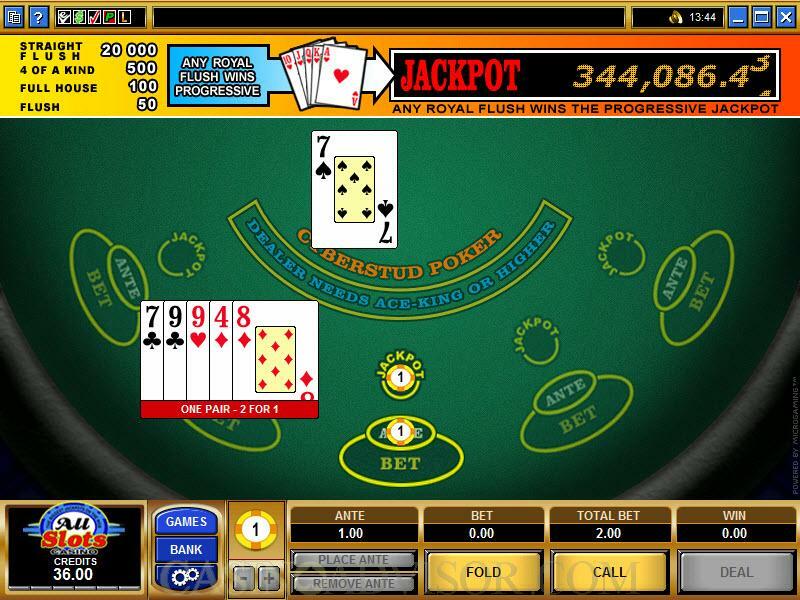 Progressive Cyberstud Poker is a version of video poker that is based on the regular version of Cyberstud Poker. 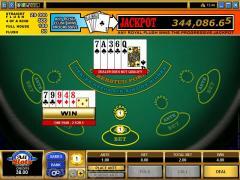 It is produced by Microgaming, by all accounts the most prestigious name in the casino software industry. There is nothing intimidating about it, although a basic understanding is obviously very critical. Progressive Cyberstud Poker is played with a standard deck of 52 cards, with no wild cards. The cards are shuffled before each and every deal, and so they come out randomly. There are controls across the bottom giving you the option to "Hold," "Call" and, of course, "Deal," which basically gets the thing started. There is a mandatory "side bet" of one credit before each round of play starts, as well as an ante bet of one unit (the amount of which is determined by your coin size). 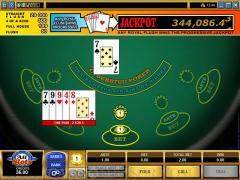 When you click "Deal," you are dealt five cards, while the dealer receives only one card. You can make the decision after you receive your cards as to whether you want to continue playing the hand or fold. If you fold, you will lose that ante bet. If you elect to play the hand out, you place a wager out in front of your ante. After that, the dealer will receive four additional cards and the winner is determined based on who has the better hand. If the dealer's hand does not include at least an Ace-King combo (in terms of standard poker value), he doesn't qualify and you will win your wager automatically. If the dealer qualifies, the hand is played out and you win, you'll be paid according to the game's payout table, plus you'll be returned an amount of double the ante wager. The one-unit mandatory bet that is made before each hand is dealt out goes into a progressive "fund" which will pay out at such time as the progressive jackpot is won. So how is that accomplished? Well, you have to hit a Royal Flush. That's not a small feat. 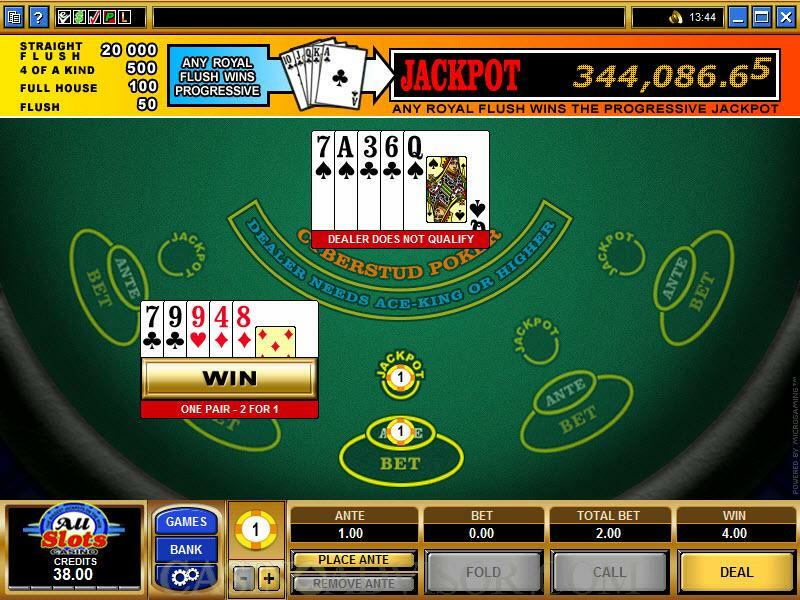 The jackpot figure is atop the interface at all times. Interested in reading more detailed information about Cyberstud Poker? If so Click Here for more details.